If you use storage units, or if you have used them in the past, you have realized how it can be hard to organize what to put away in storage. Likewise, how to keep them stored in good condition. Now that we are transitioning between seasons, you may be considering redecorating your place for the holidays. To make room for new items, put away some of the things you have in your home but aren’t using right now. We have put together a few tips to help you organize and use your items to save space and time in storage units. Most of the time people find it hard to know where to begin or choose which items to store away. We recommend grabbing your writing pad and a pen and make a detailed assessment from room to room. Make a list of all the things you have and where they are placed. If anything is out place, it may need to be moved or put away in storage. 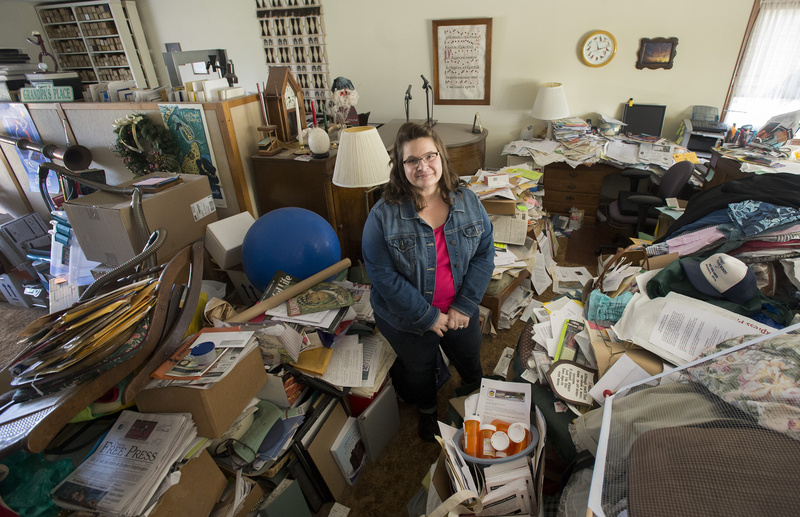 The young lady pictured below didn’t organize very well, and seems to have found herself in a hoarder situation! Now that you have a list of your potential storage items you need to arrange them and store them in good condition. Some of most common items to store for later use: Unused furniture, out of season clothing, sporting goods, outgrown children’s toys and equipment, tools, hardware and hobby and craft equipment and sometimes personal documents or archives. Everyone knows how important it is to keep clean clothes, but it is very practical to wash all your clothes before storing them away. Washing everything before will keep away bugs and weird smells and will make it easier on you when ready to use them again. You can also use dryer sheets in the boxes to keep your clothes smelling fresh. When using storage units, you must consider the next time you will need to use the items. Storing your items per the frequency on which you use them makes the task of retrieving your items back easier. This is very practical for seasonal items like clothing and sporting goods. It is important to label everything when putting away your items. This helps you know the content of every container. It also helps you know the nature of the content and how to handle the boxes. Now that you have everything together you are ready to get store your belongings. 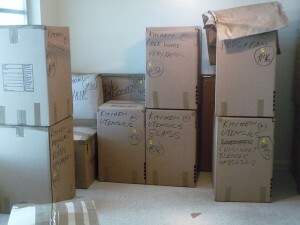 At Garrett’s Moving & Storage we will help you pack your items in a proper and safe condition. We store many things in our facility for a variety of families and businesses. However, we’re not your traditional “self-storage” facility. This is a great alternative in many situations when you do not need frequent access to your stored items. Our facility is open 09 AM – 05 PM from Monday to Friday and 09 AM to 12 PM on Saturday. Give us a call today at 972 487 5843. This entry was posted in Self Storage Expeditions, Stress Free Moving Tips and tagged dallas storage, storage tips, storage units. Bookmark the permalink.